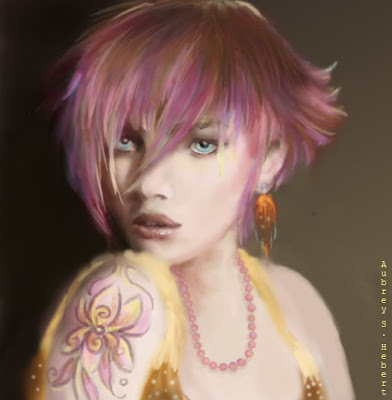 Beautiful Punk was painted in Photoshop. I haven't done a portrait in a while and thought it would be fun to take some time and practice. My favorite part of this painting is the hair. It actually started off blue, but pink seemed to work so much better being such a soft warm color and framed her face delicately.